Welcome to the Southeastern Septic LLC website! We serve residents of Lakeland, Florida and surrounding areas, including Winter Haven, Auburndale, Bartow, Mulberry, and Polk City, with top-quality septic services, including drain cleaning, septic tank pumping, drain field & septic tank repair, drain field & septic tank installation, grease trap installation, sump pump replacement, lift station pump installation & repair, real estate inspections, green swamp inspections, and many other residential and commercial septic services. Most experts recommend that you schedule septic tank pumping in Lakeland, FL every 1 to 3 years, depending on how many people live in your household and the size of your septic tank. However, you may need to have your tank pumped or repaired more often if you notice any problems with the septic system, such as slow-running drains, a foul odor coming from your yard, soggy patches in the grass, or clogged pipes. You can reduce the amount of maintenance and repair your septic tank needs by taking good care of it. One of the ways you can do this is to never put items into the garbage disposal or toilet that don’t belong there (such as fats, oils, greases, feminine hygiene products, paper towels, coffee grounds, egg shells, etc.) You should also limit the amount of water you use each day by not taking excessively long showers or running several loads of laundry at a time. If you do notice a problem with your septic system in Lakeland, FL, be sure to call us right away for septic tank pumping or septic tank repair. We also offer septic tank installation for new or replacement septic systems. Our company owner, Shane Ray, has over 18 years of experience in septic services. 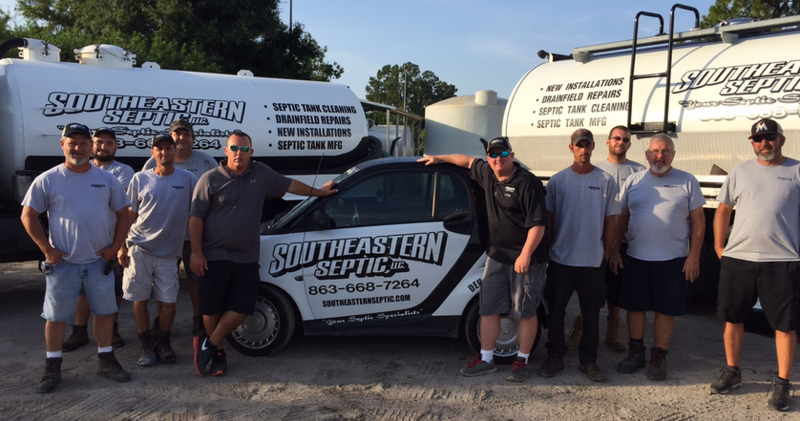 Throughout the past year, we have grown rapidly and have become a successful septic company that services and installs new septic tanks all over the state of Florida. We have been trained and certified to install the latest technology in aerobic septic systems and also offer the revolutionary HOOT Aerobic Treatment Septic System. We also offer all our septic services to commercial customers, so if you are having issues with the septic system at your business, give us a call. Whether you need septic repairs, a new drain field or grease trap installation, our fast service gets you in business or back in business as quickly as possible. Inspections are another part of the long list of septic services we offer to you and other Lakeland customers. We perform green swamp inspections and real estate inspections. Before you buy a residential or commercial property, have us check it out for you. It is definitely better to know about a problem before closing than after. 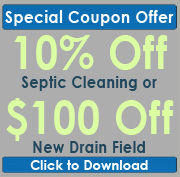 Here at Southeastern Septic LLC, we understand your needs as a customer. We make it our priority to stay on top of all the newest technology regarding septic systems. You can always count on us to provide quality work in a timely manner. Our customers in Lakeland, Mulberry, Polk City, Winter Haven, Auburndale and Bartow are very important to us, and we strive to make sure you are fully satisfied! Serving Lakeland, Winter Haven, Auburndale, Bartow, Mulberry and Polk City, FL.